There are many methods of treating infertility in men and women, but when simple treatment approaches fail to correct infertility, patients may consider assisted reproductive technologies (ART). One of the most popular of these assisted reproduction methods is in vitro fertilization (IVF), which is a key service offered at DFW Center for Fertility and IVF in Allen, TX. In vitro fertilization refers to a treatment where both the eggs and sperm are handled in a laboratory. It is sometimes referred to as the “test tube baby” procedure. IVF bypasses the fallopian tubes and implants the fertilized egg (embryo) directly into the lining of a woman’s uterus where it can develop naturally. Either the mother or a surrogate will then carry the fetus to term. This technology has been in use, and has continued to advance, since 1978. 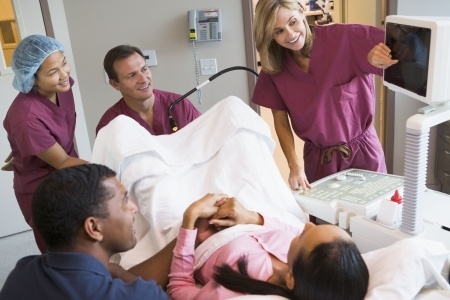 IVF occurs over a period of time known as a “cycle,” usually spanning four to six weeks. The entire process involves many different procedures specifically selected to benefit the individual patient’s condition and diagnosis. At DFW Center for Fertility and IVF, each patient’s treatment is tailored to the exact fertility problem being addressed. There are no “cookie cutter” treatment protocols, as each of our patients is different. Stimulation: Boost the woman’s egg production with fertility drugs, check ovaries with ultrasound, and check hormone levels with blood tests. Egg Retrieval: Minor outpatient surgery called follicular aspiration to remove eggs from the womb using a thin needle and gentle suction device. This is performed under anesthesia. The patient may have mild cramping for a day or so after the procedure. In some cases, a pelvic laparoscopy may be needed to remove the eggs. 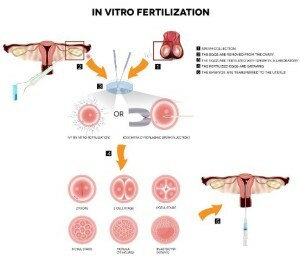 Insemination and Fertilization: Sperm is placed in a container with the best quality eggs in a specially controlled chamber and allowed to fertilize the eggs. In some cases, to try and improve the rate of fertilization, direct single sperm injection into an egg may be performed in a procedure called intracytoplasmic sperm injection (ICSI). Embryo Culture: The fertilized egg divides and becomes an embryo, which is constantly checked by the lab. If there is a high risk of hereditary disorders, a pre-implantation genetic diagnosis (PGD) may be done by screening cells of each embryo. This test may help the IVF team select which embryos to use for implantation. Embryo Transfer: Embryos are placed in the woman’s womb approximately 3-5 days after egg retrieval and fertilization. Implantation is done while the patient is awake in the doctor’s office using a thin tube (catheter) placed through the cervix. One or more embryos may be placed in the womb (depending on many criteria). Any excess embryos not initially transferred may be frozen for implantation at a later date, which is simpler and significantly less costly than IVF. The extended process surrounding in vitro fertilization calls for a considerable commitment from the patients and their families – physical, emotional and financial. Although the majority of women do not experience many of the side effects, some women taking fertility drugs may experience bloating, mood swings, abdominal pain, and headaches. The IVF team at DFW Center for Fertility and IVF will instruct you as you learn how to mix medication and administer injections several times daily, as well as what to expect as side effects from each medication used. In some cases, fertility drugs may cause ovarian hyper stimulation syndrome (OHSS), or a buildup of fluid in the abdomen and sometimes in the chest. Symptoms include abdominal pain, bloating, rapid weight gain (10 pounds within a few days), decreased urination, nausea, vomiting, and shortness of breath. Mild cases can be helped with bed rest, but severe cases require draining of the fluid with a needle. This is a rare condition and monitored for throughout the treatment cycle. In some cases, the chances of developing this syndrome can be avoided with several techniques during the treatment cycle. Risks of egg retrieval are uncommon but could include reactions to anesthesia, bleeding, infection, and damage to organs surrounding the ovaries. These are rare outcomes. Multiple pregnancies are always a potential risk when more than one embryo is transferred, and carrying more than one baby at a time increases the risk of premature birth and low birth weight. Single babies born after IVF are at higher risk for prematurity and low birth weight, but research does not indicate whether IVF increases the risk of birth defects. Our team will counsel you regarding the optimal number of embryos to transfer to improve your chances of success while limiting the chance of multiple pregnancies, specially higher order multiple pregnancies (triplets or more). At DFW Center for fertility and IVF, we recommend rest after the embryo transfer, but total bed rest is not necessary unless there is a high-risk condition. Women take daily progesterone shots or suppositories for 8 to 10 weeks after embryo transfer. A pregnancy test is usually done about 9-11 days after the embryo transfer. This is our most exciting time as we are always excited when pregnancy is successful and we can’t wait to deliver the good news to you. The success rates for IVF treatments are tracked by the CDC, with actual results reported by U.S. fertility clinics performing assisted reproduction therapies. Patients can view ART reports online via the CDC. In 2012, clinics reported more than 60,000 live births. In Dr. Beshay’s prior experience, his success rates either matched or exceeded the national averages reported. DFW Center for Fertility & IVF participates in the CDC’s reporting program, and will be listed on the Find a Clinic directory. Our individual clinic success rates will be available online via CDC reports as we gather more data and results from our patients. All individual patient information remains completely private, of course. Success rates are also dependant on the environment in the laboratory. Therfore, when planning to construct the fertility center, the laboratory received extra special attention to make it a safe haven for eggs, sperm and embryos. Air in the lab is controlled by a separate air conditioning unit. Air going to the lab is filtered to remove VOCs, particulate matter and any harmful agents that may affect your embryos. Constant monitoring of the lab’s air quality is also performed to make sure that there is never a negative environmental impact on your chances to conceive. An authority on laboratory air quality, Antonia Gilligan, is the specialist involved in the design and continued monitoring of our Allen, TX, fertility lab. Dr. Beshay and his expert IVF team provide complete care before, during and after in vitro fertilization. We deliver compassionate attention to fully support patients and their families, answering any questions or concerns you may have. 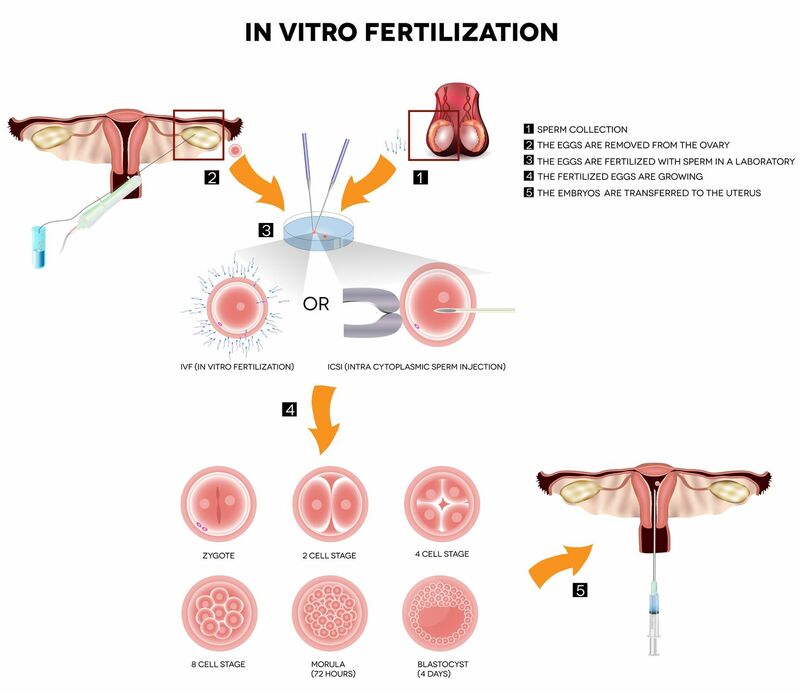 For more information about in vitro fertilization, contact us online or call 469-854-0305.